How to deal with dark circles the Eminence Organics way! With the holidays in full swing, dark circles under your eyes can be a tell-tale sign that you’re running short on shut-eye. In addition to age and genetics, stress and sleep deprivation contribute to the emergence of dark shadows and can betray those late nights and early mornings. Don't lose your holiday cheer - when raccoon eyes mar your complexion, brighten your eye area with these Eminence Organics tips and tricks. Applying cool temperatures to your eye area can ease puffiness and help shrink dark circles. Stylecaster recommends dipping two metal spoons in water and placing them in your freezer overnight. In the morning, rest the rounded side of the spoons against closed eyes for five to ten minutes to minimize the look of bags and dark undereye circles. 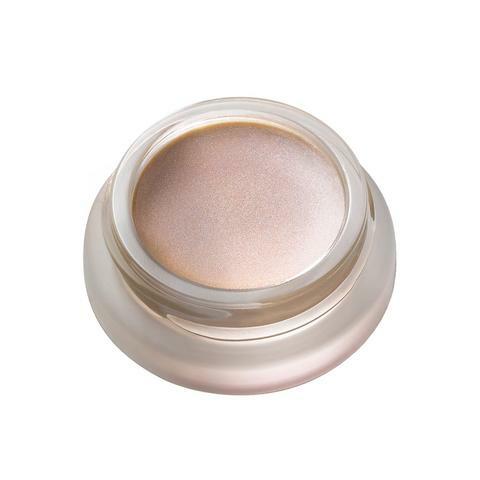 When all else fails, apply a creamy concealer after your favorite Eminence eye cream to mask persistent undereye circles. Real Simple recommends choosing a concealer with yellow undertones to neutralize the purplish tinge of the dark circles. Pro tip: Don’t swap your concealer for foundation, as it can have a drying effect that will accentuate any fine lines and wrinkles around the eye area. RMS - The "un" Coverup is formulated to reveal and enhance healthier looking skin…not just cover it up. Completely lightweight and hydrating to the skin, the "un" cover-up will reveal more youthful and radiant skin. The Wild Plum Eye Cream is infused with iron-rich plum to brighten the look of the skin, giving it a more radiant and revitalized appearance. The Marine Flower Peptide Eye Cream uses naturally derived plant peptides and innovative algae extracts to improve the look of wrinkles, puffiness and dark circles. Combat dark under eye circles with Eminence Organics Wild Plum Eye Cream and Marine Flower Peptide Eye Cream. A personal favorite of Eminence President Boldijarre Koronczay, the Wild Plum Eye Cream is infused with iron-rich plum to brighten the look of the skin, giving it a more radiant and revitalized appearance. The Marine Flower Peptide Eye Cream uses naturally derived plant peptides and innovative algae extracts to improve the look of wrinkles, puffiness and dark circles.